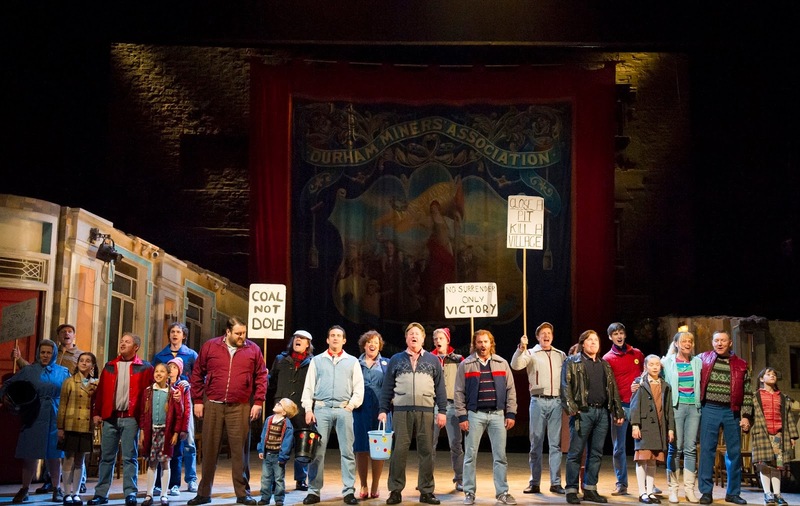 Set in a northern mining town, against the background of the 1984/'85 miners' strike, Billy Elliot is the inspirational story of a young boy's struggle against the odds to make his dreams come true. I can't tell you how long I've been waiting in anticipation for this show. I was lucky enough to be invited to the last full dress rehearsal, a day before opening night to see the show in its final stages where Adam Abbou played the role of Billy. I also saw the show with my family at the weekend, where Matthew Lyons starred. 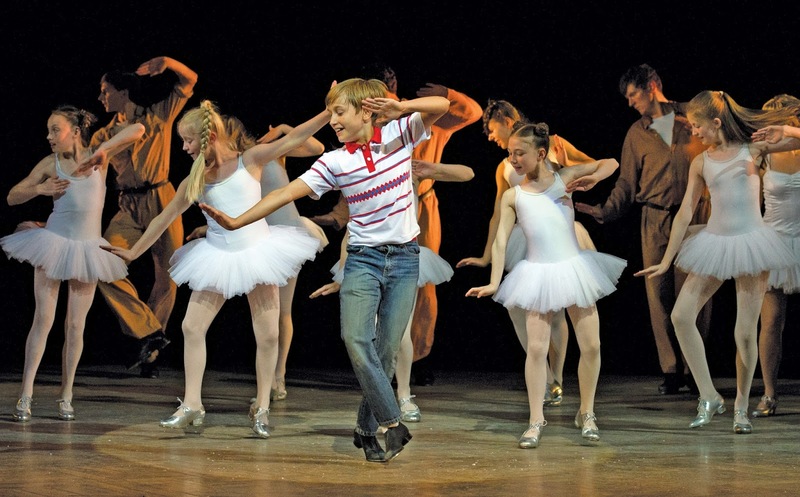 There are four young boys who alternate the role of Billy, as well as three boys who play Billy's hilariously camp best friend, Michael, and three girls to play loud- mouthed ballerina, Debbie. The children in this show are by far some of the most talented bunch I have ever witnessed. It honestly made me a little emotional to watch them all as they beamed with such enthusiasm. The dance routines aren't at all dumbed down to suit a youngster's level, they are completely complex and full- on but the young performers tackle each routine pretty perfectly. Not only were all the dance routines phenomenal, 'The Angry Dance' and the Swan Lake routine are my personal favourites, but the acting and singing were also second to none. For such young people to be able to sing, dance and act so well and all at once is beyond me... I am totally jealous of their talent! And I know that the young actors are just getting better and better with every performance. Not only were the child performers impressive, but the rest of the cast were totally outstanding too. Although there are many solo routines in the show, my favourite scenes were those where the cast came to perform together- the massive finale scene was mesmerising as the entire cast tapped in complete unison to finish the show. Another really exciting aspect of the show was that I had watched some of the sets and props in development a few months before at the Theatre Royal Plymouth's very own TR2- it was so cool to see how they had been improved and finished over the course of a few months and to see them in use on stage! One of my favourite props has to be the giant Margaret Thatcher puppet which is used in the 'Merry Christmas Maggie Thatcher' routine- it was borderline frightening when I first saw its googly eyes and menacing smile in the workshop but on stage it looked absolutely fantastic! As with all my favourite shows, I could talk about it forever- but for your benefit, I won't. 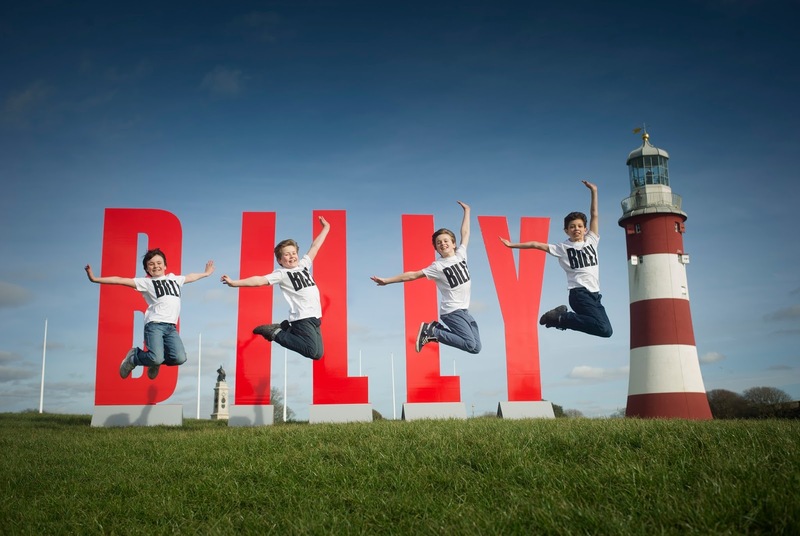 I'm so happy that Billy Elliot is out on its first tour, so more people than ever before can access this beautiful story and I'm super excited that its first stop is here in Plymouth! I've loved seeing it evolve into the wonderful touring show it is. Its the most heartwarming, funny and impressive show I've seen in a while and I'd definitely recommend seeing it! Billy Elliot UK Tour is travelling all over the country, so check to see if its playing near you! The show is playing at Theatre Royal Plymouth until Saturday 2nd April! Disclaimer: I have worked closely with the Theatre Royal Plymouth and Billy Elliot The Musical, but all thoughts and opinions are 100% honest and my own! Completely agree with everything you have said about this show! The cast, especially the children, are amazingly brilliant at everything they do. The adults round it out perfectly! I saw the opening night, having travelled over 250 miles from Hastings, with Lewis, Samuel, and Evie in the principal roles. All brilliant, however I have to say I was blown away by Samuel... one of the best Michaels I have seen. The show is fantastic!!! I have tickets for most of the other venues on the tour! Can't wait!